Dr. Rolf agreed that the body functions best when the bony segments are in proper alignment. She added her observations that lasting improvement in alignment and an overall sense of well-being required a closer look at the effects of gravity on our bodies. She believed that the imbalances in structure placed demands on the body's pervasive network of soft tissues: muscles, fascia, tendons and ligaments, thereby creating compensations throughout the body structure. 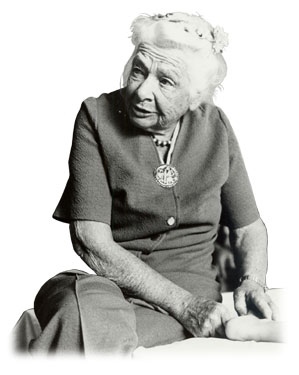 Her life's work was devoted to this investigation which led to the system of soft tissue manipulation and movement education that we now call Rolfing®. In order to pass along her work to others and to make the education process accessible, she developed an expedient series of ten sessions, which came to be known as the Ten Series.